95 Times Square visitors, 7296 coffees drank, 1003 hot dogs eaten, 187 tweets and 83 Instagram posts. Would you believe that all this happens in a New York Minute? New York New York. So good they named it twice. A visit to The Big Apple has long been on my bucket list. In the back of my mind I had it down as being something that I'd do for my 50th birthday (which is scarily only 5 years away!) however fate intervened by way of a hurricane. To cut a very long and rather stressful story short, last October we were heading to Orlando for a fortnight to do the whole Disney/Universal/Florida thing. Hurricane Matthew came along and put a stop to all flights into the area and we got stranded in NYC. There are undoubtedly worse places to be stranded in the world but I really would have preferred the opportunity to meticulously plan for my first trip to the NYC rather than have it thrust upon me! Coffee - my daughter was very surprised that they have Starbucks in America too! Taxi Ride - see above, but also some more successful ones! Times Square - it's not actually a square which surprised me, more of an area. Bridge Crossings - there seemed to be loads on the way to/from the airport. Tweeting about NYC - obviously! Central Park - alas no skating in October. NYC Instagrams - double obviously! Buy a copy of the New York Times - we saw the vending machines that sell them. Eat a Hot Dog - can't believe we never had one, but saw loads of hot dog carts. Use the Subway - nope. Buy a ticket to a Broadway Show - if only! Definitely next time. Trade on Wall Street - will leave that to Michael Douglas and Charlie Sheen. Eat Pizza - is it bad that I can't remember of we ate a slice or not?! See a NYC Sports Teams - alas no Nicks, Yankees or Mets for us. Have you been to The Big Apple? What did you eat and are there any foodie must have's that I've missed out on? Disclosure: This is a commissioned post for Netflights. As always, all views expressed are my own. Love a bit of people watching wherever I travel. Thanks for the tip. I've been to New York a couple times but agree there is always the next time - so much to see and do. I reckon my first 'proper' visit will be even better as I've kinda got my bearings and now know what to expect. Will have my food checklist too! 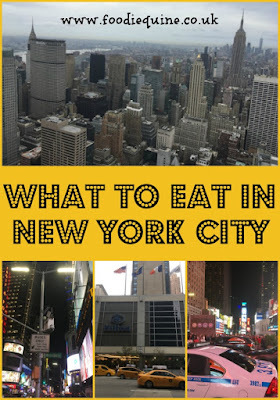 The best food is going to be outside of Times Square :) Although there was a really delicious Indian place that we went to near Times Square.. there's so much to do! Hopefully you can go back again! Absolutely. In any city there are so many hidden gems off the main tourist drag. Gosh, I don't know that I'd cope as well as you did suddenly finding myself somewhere completely different to what I'd expected and planned for! 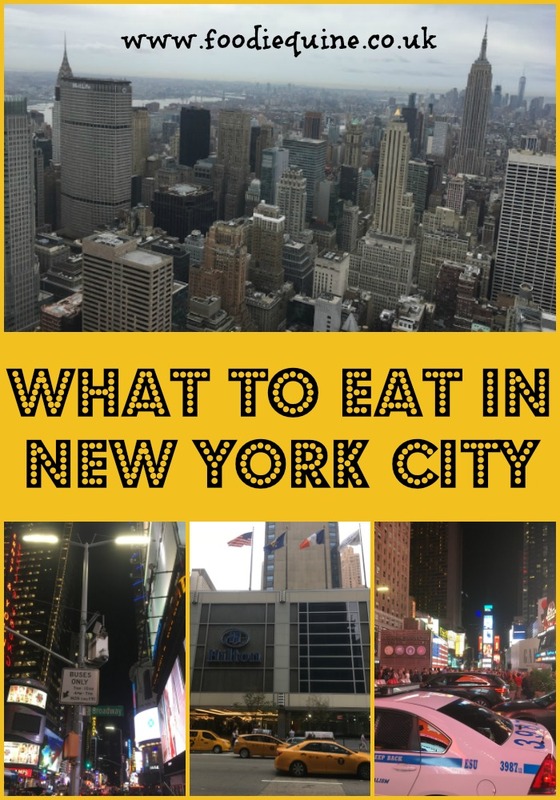 I've not been to NY for so so long, it's definitely time for me to revisit, especially to do the NY restaurant scene justice! We just had to make the most of it! Next time I will be super organised but like I said there are definately worse places in the world to unexpectedly find yourself. 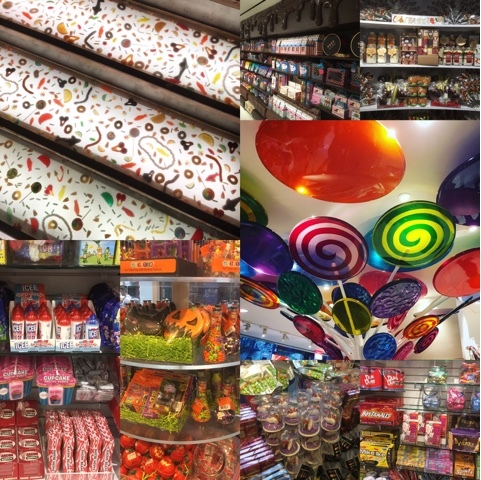 I love New York and there are so much good eating to be had there. My favourite breakfast place - High Street on Hudson! Thanks for the breakfast tip. Noted for (hopefully not too distant...) future reference. *sniff sniff* I went to NYC 20 years ago. Twenty. Would love to go back again! Hope we both get to return sooner rather than later. I had no idea that when you said "intervened by way of a hurricane..." - it is really literal! Poor you! I've been to NY once - many many years ago. I found it really big. People say walking around NY is delightful - but man those blocks are huge! lol! But I do like it despite that. I was looking forward to the real Pretzels and they honestly didn't disappoint me. Again they were huge! lol! Yup it absolutely was literal. It was all rather stressfull at the time but I can look back at in now with an 'every cloud has a silver lining' attitude. Everything is huge in NCY it would seem. Isn't NYC just the best? Yup, It didn't disappoint and I'm sure it won't again. It so easy to get swept along in the moment and sometimes I think you just have to abandon any pre-made plans and go with the flow. 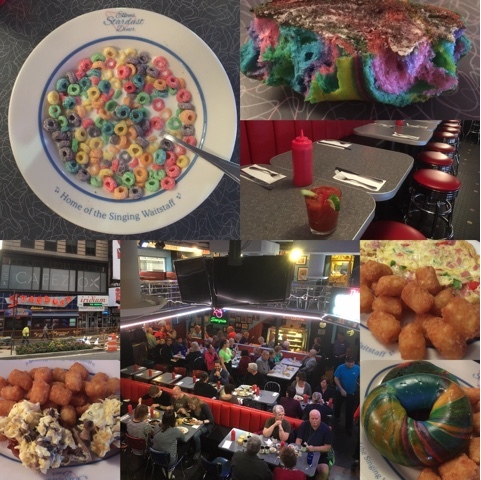 Hoping to do some more US cereal in London shortly at Cereal Killer Cafe. 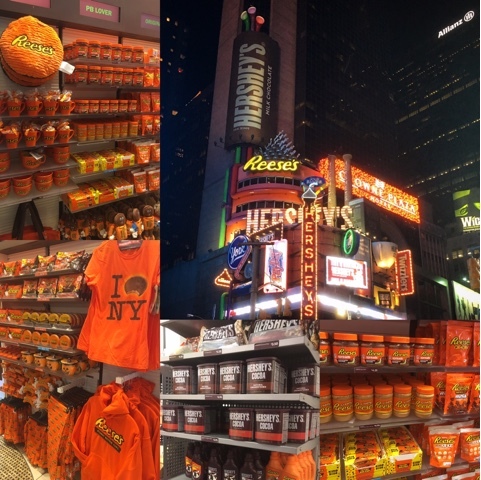 wow what a trip, New York looks an amazing place to visit, and all the yummy things to eat!! 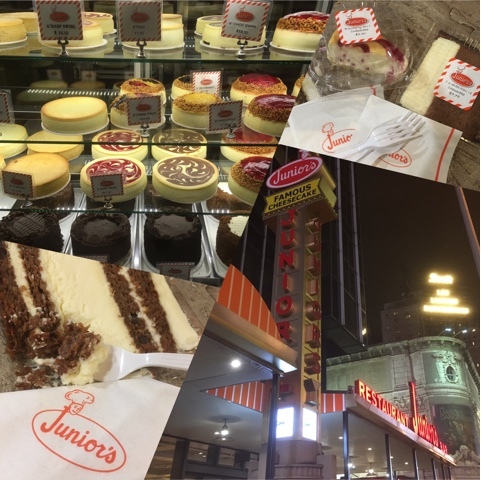 Great food and great sights - what more could you want? !